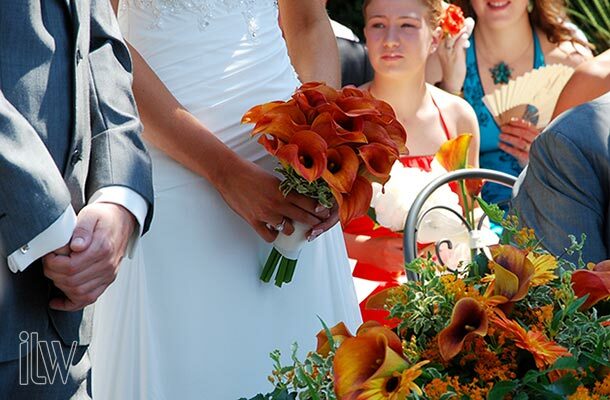 Home » Wedding Planning » WEDDINGS IN JULY… Another Wonderful Month On Our Lakes! We are glad to say that the experiment we did June – Just Married post was a success! Many couples and readers enjoyed it so much and we decided to do it again! So we are back to you with July – Just Married post to show you what we did last month. 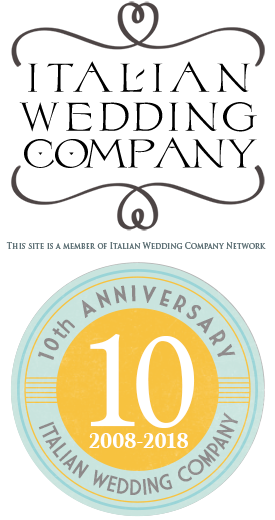 We will probably back to you with August, September and even October posts… so stay tuned up to the end of wedding season! 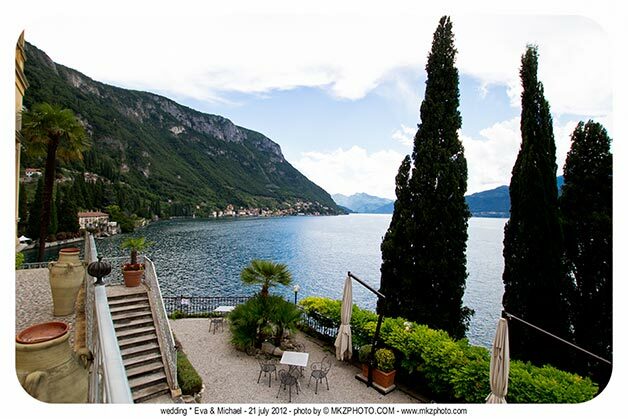 e opened July on an “en plein”: Lake Como, Lake Albano, Lake Orta, Lake Maggiore and Lake Garda on the 6th – we already spoke about this fabulous week end in our post A great week end on our Lakes. But we are pleased to add some more details! 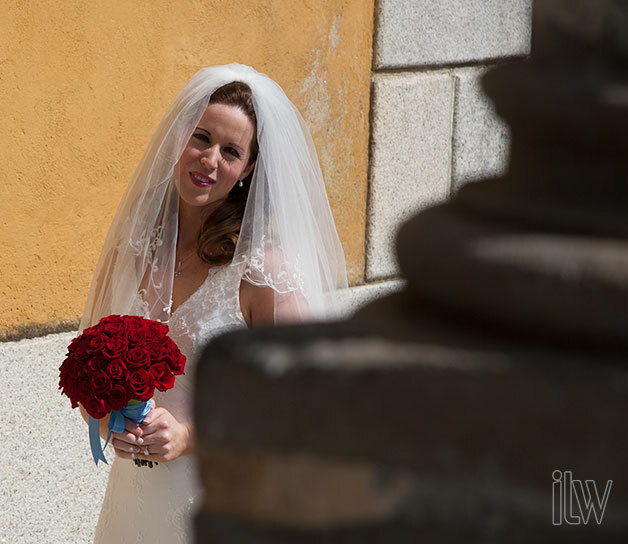 Evelyn and Derek got married in Varenna – Lake Como with a lovely religious wedding. 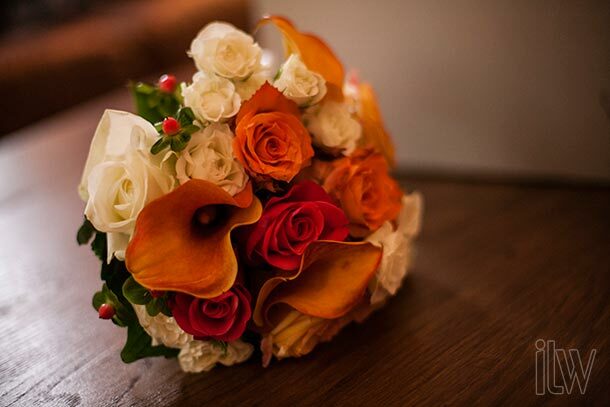 Alessandra planned for them wonderful white, red and orange roses for bouquets and floral arrangement. 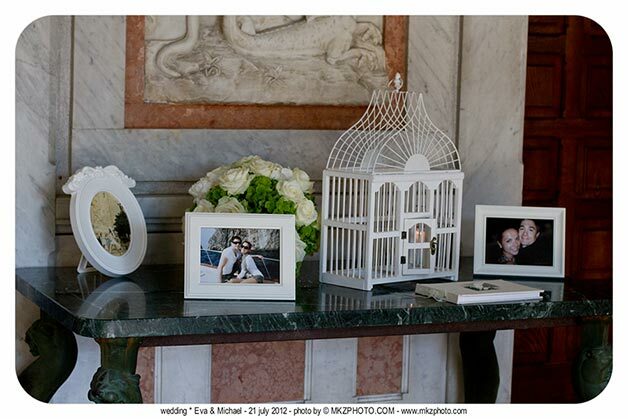 A wonderful wedding inside the rooms of a beautiful hotel in Varenna and stunning photos by Morlotti Studio. Stefania followed Italian couple Laura and Mario’s wedding at Villa Pocci with a great outdoor ceremony and an intimate relaxing atmosphere overlooking the peaceful panorama you can enjoy on Lake Albano just few kilometers from Rome! 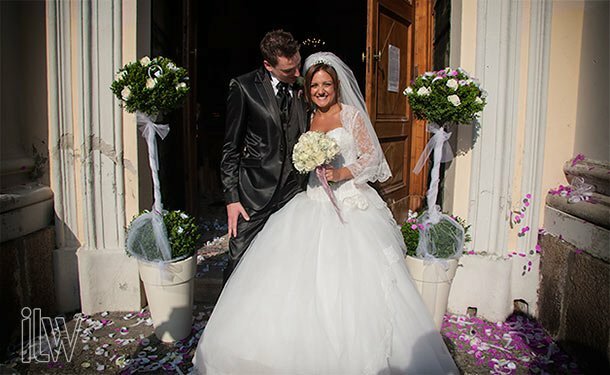 On the same day Helen and Matt got married on Lake Orta with the coordination of Valentina. 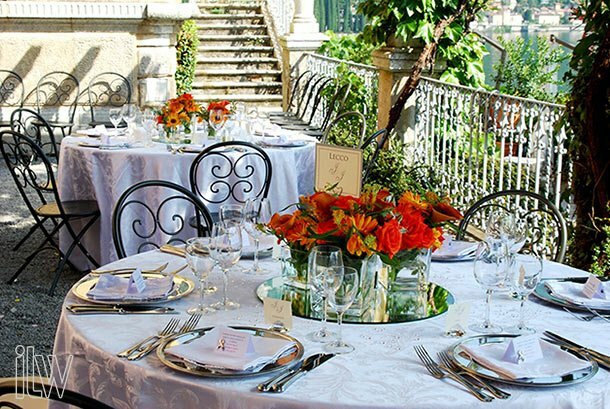 They opted for a civil ceremony at Villa Bossi with reception to follow at Ustaria Ca dal Rat. 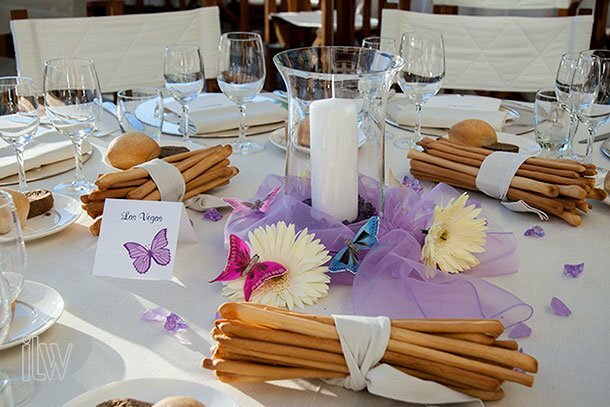 Helen loved colors and country style so she decided for a very original decoration… lovely buscuits tins and a lot of country flowers for a relaxed and fresh reception on the shores. La Piccola Selva Team followed Ilenia and Stuart as floral designers. 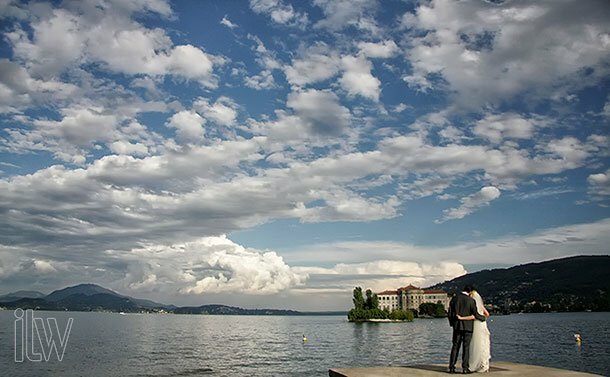 They had a lovely wedding on Isola Bella church of St. Vittore, Lake Maggiore. A very big party with more than 160 guests coming from Uk and Southern Italy surely a happy and joyful party! 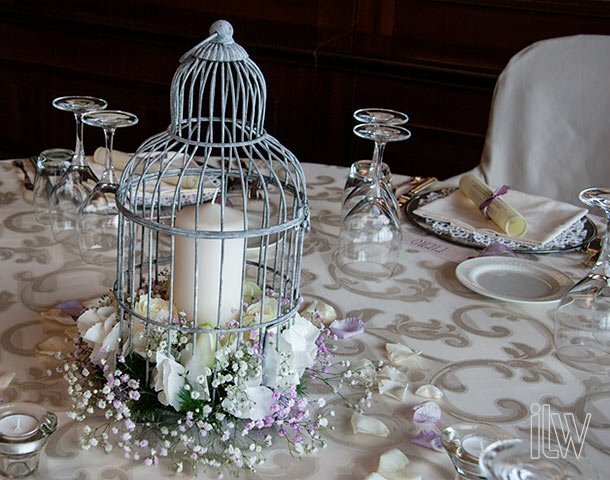 Reception was planned to Grand Hotel Dino with a very chic centerpieces with flowers and vintage bird cages. 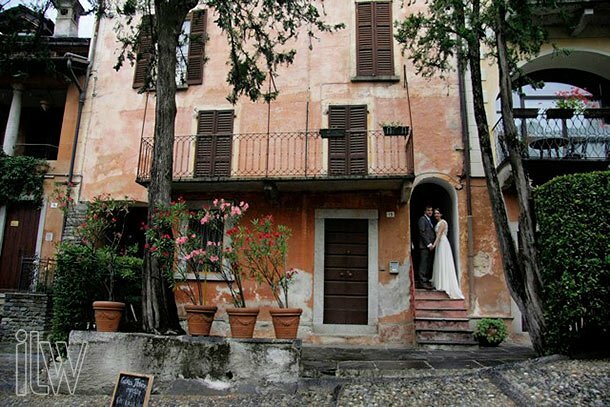 Katiuscia and Angela followed Barbara and Rocco’s wedding who chose Torri del Benaco on Lake Garda. Wonderful pictures from shots Photo27 for this lovely couple coming from Italy and Austria but living in Singapore. On 12th July Valentina followed Fiona and Ted’s wedding again in Orta. 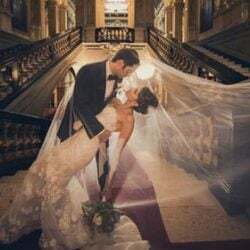 They choose Assunta church for their intimate wedding and famous Moorish villa overlooking the lake for their small reception. 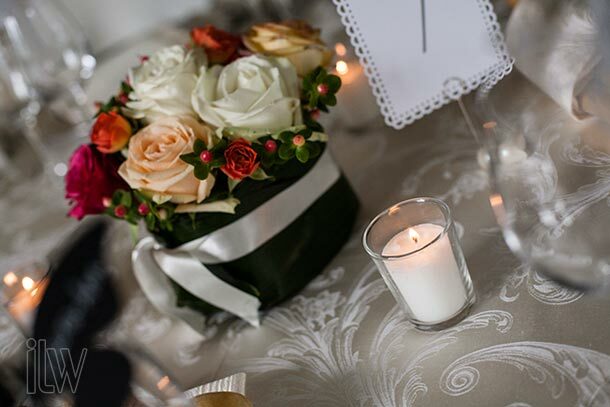 A very sweet event with few guests with a lot of emotion and romanticism. 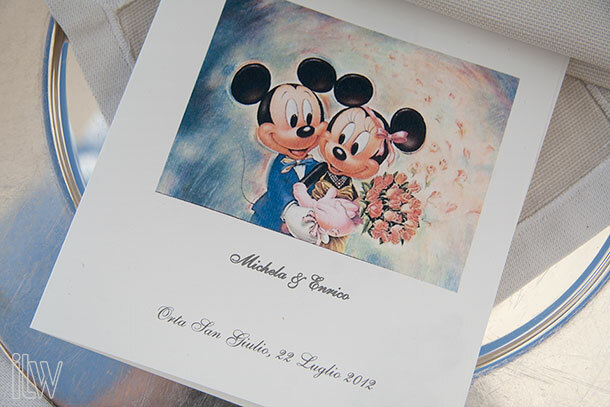 We stayed in Orta for the following event a joyful couple coming from Bologna – Italy got married on Lake Orta on 15th. Valentina followed Valeria and Daniele’s wedding with civil ceremony at Villa Bossi and lovely reception to Hotel San Rocco. The group and the couple was one of the happiest and cheerful we ever seen. Another week end of events for 20th, 21st and 2nd July! 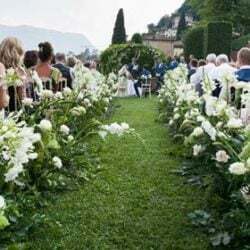 We open it Caitlin and Damiano’s wedding on Lake Orta on 20 July. 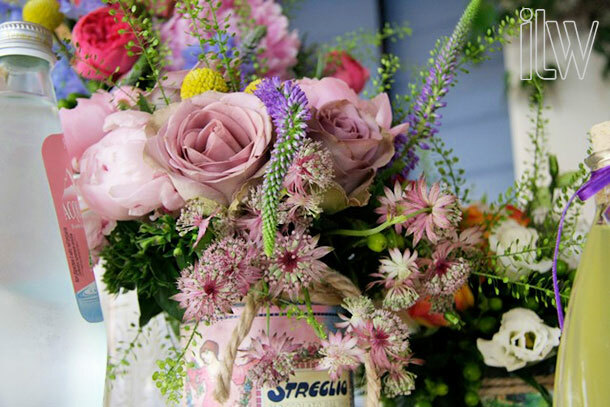 It was followed as floral designer by La Piccola Selva. After ceremony at Villa Bossi they reached Villa Pestalozza in Miasino. 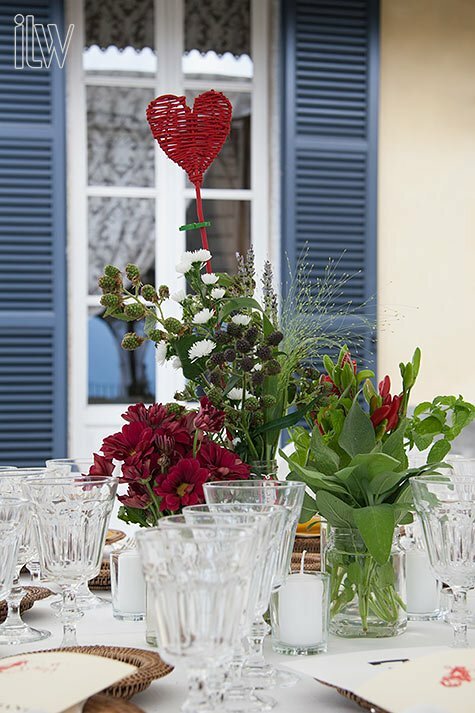 Country decorations on the table shabby chic style. We really hope to show you official shots taken by Jacopo Manfren – famous photographer with studios in Milan and Los Angeles working for Vogue and Maxim. 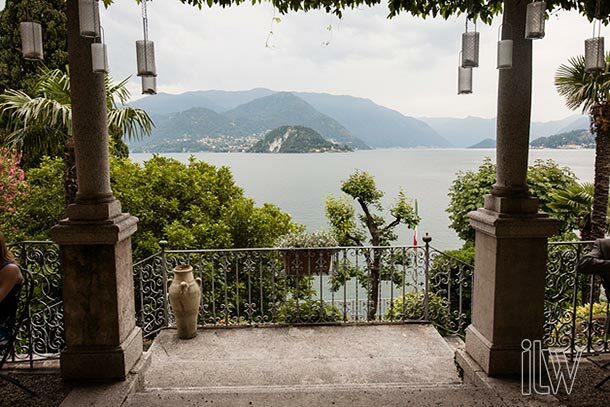 Alessandra followed Michael and Ewa’s wedding in Varenna on 21st July with a romantic religious ceremony with reception to follow in one of the hotel in Varenna overlooking the lake. At the end of the reception the moved in a local pup to go on up to late at night with dances and bar! A wonderful party! On Lake Maggiore, on the same day Valentina planned Lisa and Jim’s wedding. 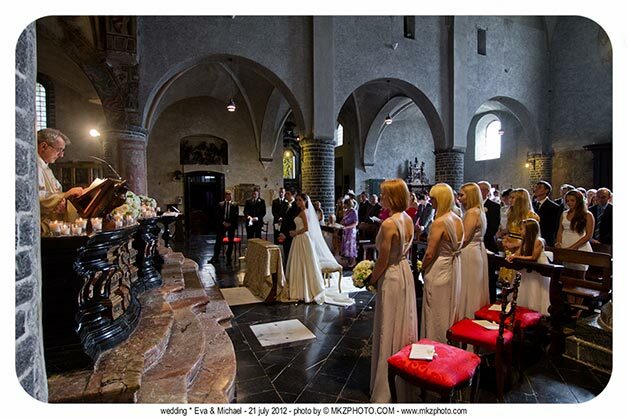 The ceremony was held in parish church of Lesa and reception at Grand Hotel des Iles de Borromées. A lovely event that mixed people coming from all over the world. Jim is a American and Lisa is Irish. 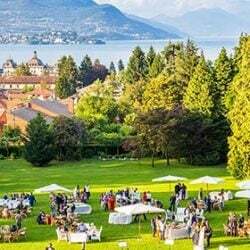 A wonderful event on Lake Maggiore. 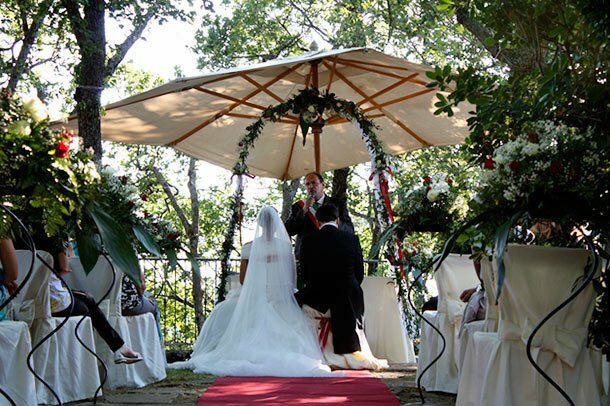 A ceremony at Sacro Monte church for them and an outdoor reception at Hotel San Rocco. La Piccola Selva followed the event as floral designer. White and lilac was the colors Michela chose. Many butterflies in the church and reception decorations and a country style bouquet that was simply perfect for such an elegant bride. But it is not over yet! What about a Monday wedding? On 23rd Valentina got back on Lake Orta for a very very intimate event: Joanne and Graham’s wedding. No more than 4 guests and the couple for a romantic ceremony in Sacro Monte Church, boat trip and gourmand lunch at Ustaria Ca dal Rat on a stunning sunny day! 25th July was Juliette and Jonathan’s day. 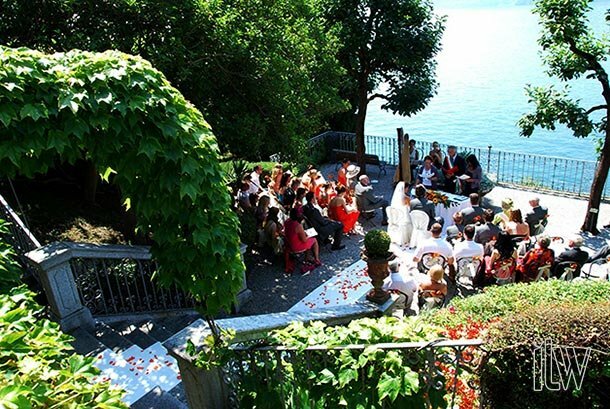 Alessandra planned for them another wedding in Varenna with a civil ceremony. The day was just amazing and colored flowers made the day even more bright! After the ceremony and a light lunch they wanted a boat trip to Villa del Balbianello for a short photo session and then back to Varenna for a wonderful dinner and party! 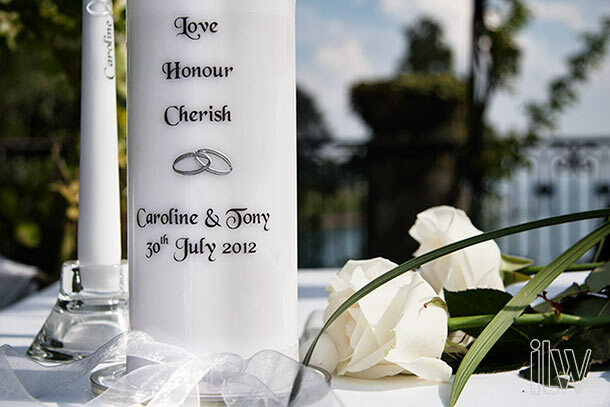 On 30th July Caroline and Tony got married on Lake Maggiore. 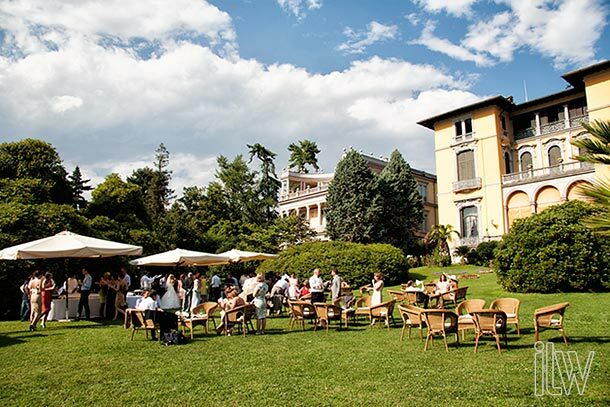 The ceremony has been held in the grounds of Villa Rusconi under a warm summer sun. 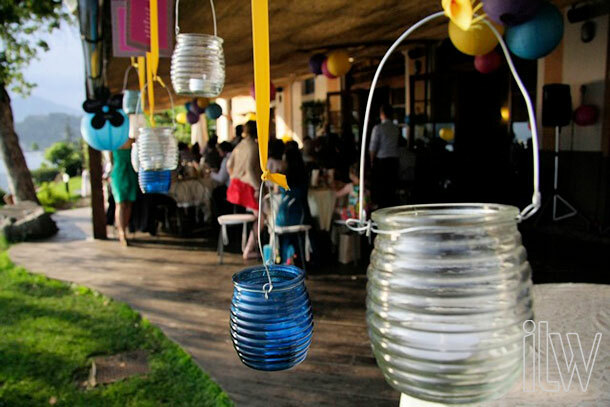 Aperitif and dinner to follow in the villa and a great party afterwards with dances and lot of music up to late at night! 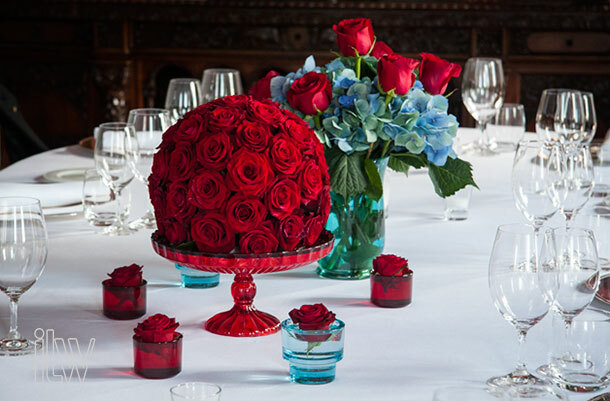 We hope you enjoyed reading about our weddings as we enjoyed following them! 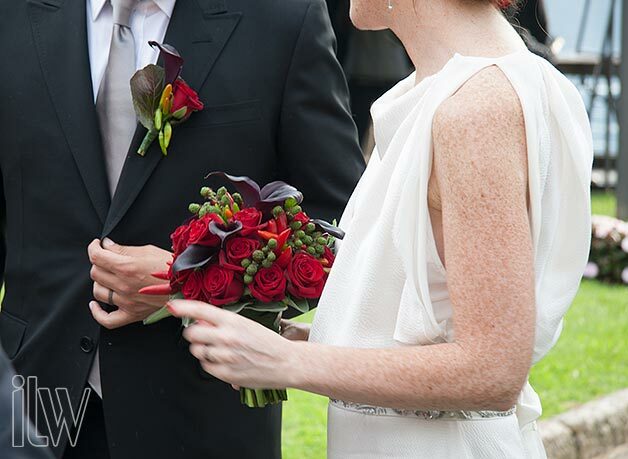 Stay tuned for August weddings… aren’t’ you curious?